Really Reasonable Ribbon Blog: Really Reasonable Ribbon 3-Day Labor Day SALE! Now through midnight Eastern Time on Monday, 9/7/15 we have a terrific SALE going on. The more you buy, the more you save!! Please use the applicable code found below in the promotional code area on the first page at checkout. The codes are good now through midnight Eastern time on Monday 9/7/15. Order subtotals $40 and up SAVE 15% using code LABORDAY15. 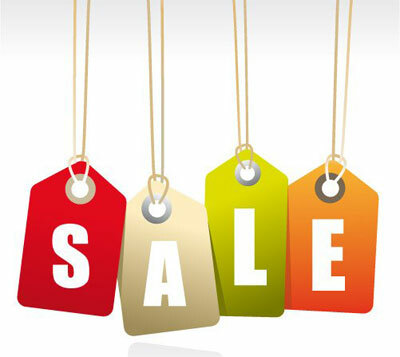 The sale code is good on everything including SALE items. Did you know we stock a wide variety of Scor-Tape? Be sure to take a look at our Autumn and Christmas offerings as well as all our NEW items. We have a wide variety of beautiful Mulberry Flowers from Wild Orchid Crafts in stock. Want to try a new ribbon style? Take a look in our ASSORTMENT Category and pick out a few that you like! Still dreaming about a Bow-it-All V2.0 Tool?? Now is the time to grab one! 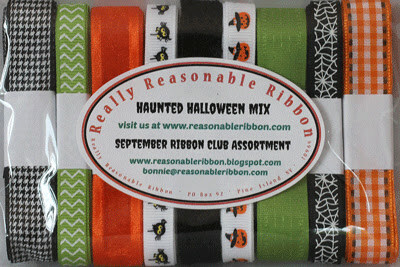 This September Haunted Halloween Assortment contains 9 styles and a total of 17 yards of ribbon. What a terrific way to build your ribbon stash so you always have the perfect ribbon for any project!